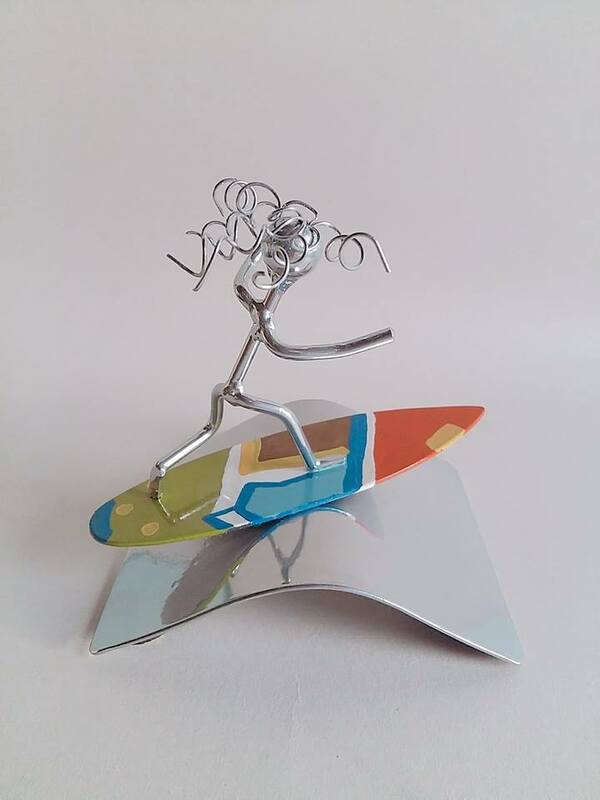 Surfs Up for this recylced mild steel surfer. Powdercoated and handpainted he is ready to take to the open sea. Plus P&P and can be shipped worldwide. Our Surfer Dude has been designed and handcrafted by us at our workshop in Leixlip, Co. Kildare, Ireland. It has been completely handmade with pre used metal. He is powdercoated and then handpainted to add a pop of colour. All our pieces make excellent gifts for you or that special person in your life and this piece would suit someone who loves surfing, water, wild waves and is a cool dude.